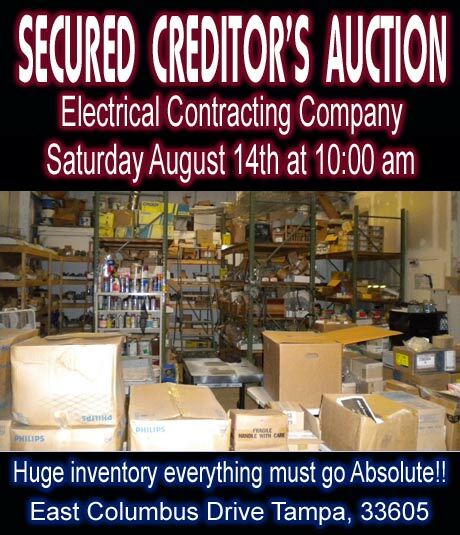 ALL INVENTORY, EQUIPMENT, FURNITURE AND SUPPLIES WILL BE SOLD ABSOLUTE! NO RESERVE! NO MINIMUM! Professional grade electrical grade contracting material including: conduit, cable, switches, lamps, strapping material, fixtures, tools and hardware!